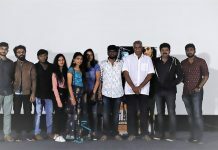 Actor Gopichand’s much awaited film Pantham ‘For a Cause’ produced by K.K. Radhamohan on his Sri Satya Sai Arts banner is set to release on July 5. Art director AS Prakash was also a part of the event. 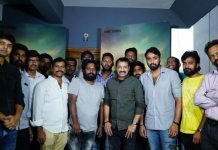 Directed by K. Chakravarthy, who wrote the screenplay for films like Balupu, Power and Jai Lava Kusa, the film is Gopichand’s landmark 25th film. Mehreen is the female lead in the film.